We treat all our guests like we would like our personal pets to be treated. Our dogs all get a minimum of 5hrs playtime a day and our cats all get 2 individual roams a day in the cattery. We have swimming, agility and more extras available to make your pets holiday the best it can be. To top it off we update daily on facebook what we have been up to each day…..
NOW OPEN UNTIL 6PM ON WEEKDAYS! Under new ownership since June 2017. Yes, we are already taking bookings for Christmas and New Years 2018-19! All other public holidays and long weekends may have altered hours. 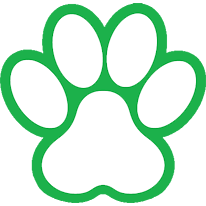 All for paws pet retreat welcomes inspections onsite between 8-10am Monday-Saturday, excluding peak periods.